A silk industry was first recorded in China about 2600 BC, and its secrets began to spread until it was finally established in Britain during the 14th century. 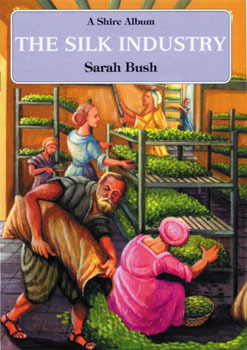 This book is an in-depth look at the rise and fall of the silk industry and contains informative sections on sericulture, silk throwing, waste spinning, and weaving, and many more. One of its main highlights is how beautifully illustrated it is - if features countless diagrams, engravings and vintage photos that outline the entire silk process and other aspects of the silk industry. This informative look at a once-great industry will both educate and captivate.